LOS GATOS, CA, September 13, 2018 — Marquis Who's Who, the world's premier publisher of biographical profiles, is proud to present Leonard J. LeBlanc with the Albert Nelson Marquis Lifetime Achievement Award. An accomplished listee, Mr. LeBlanc celebrates many years' experience in his professional network, and has been noted for achievements, leadership qualities, and the credentials and successes he has accrued in his field. As in all Marquis Who's Who biographical volumes, individuals profiled are selected on the basis of current reference value. Factors such as position, noteworthy accomplishments, visibility, and prominence in a field are all taken into account during the selection process. A retired electronics company executive serving his industry for 34 years, Mr. LeBlanc most recently served as the executive vice president and chief financial officer of Vantive Corporation in Santa Clara, Calif. from 1998 to 2000.. Prior to this appointment, he worked as the executive vice president, chief financial officer, and chief operating officer for the Infoseek Corporation from 1996 to 1997, the senior vice president of finance and administration and chief financial officer for GTech Corporation from 1993 to 1994, and the executive vice president of finance and administration for Cadence Design Systems, Inc. from 1987 to 1992. Mr. LeBlanc further excelled as the vice president of finance and treasurer for the Saga Corporation from 1982 to 1987. Previously, Mr. LeBlanc held the positions of vice president and controller for the Memorex Corporation from 1976 to 1982, a post which allowed him to fulfill his dream of working internationally. Likewise, he was the senior vice president of finance for the Data Technology Corporation in Costa Mesa, Calif., from 1973 to 1976 and the assistant corporate controller for Certainteed Corporation in Valley Forge, Pennsylvania, from 1972 to 1973. Between 1966 and 1972, he rose from the rank of financial analyst to manager for the Philco-Ford Corporation. 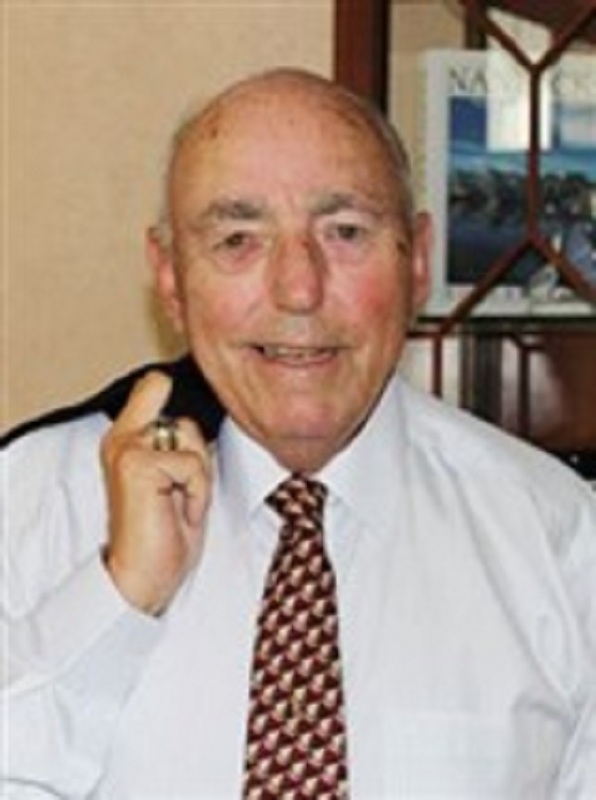 Mr. LeBlanc began his career in the United States Navy in 1963, achieving the designation of Junior Grade Lieutenant whilst serving in the Medical Service Corps as the officer in charge of toxicology. Emigrating from Canada to the United States at the age of 11 alongside his parents, Edgar and Mary Catherine, Mr. LeBlanc pursued an education at the College of the Holy Cross, earning a Bachelor of Science in chemistry in 1962. He continued his academic efforts with a Master of Science in chemistry in 1963, also at the College of the Holy Cross. Mr. Leblanc concluded his studies in 1966 at the George Washington University, graduating with a Master of Science in finance. Beyond his responsibilities within the field, Mr. LeBlanc has participated in numerous endeavors outside of his professional circles. He has held the role of director of the Board of Directors for EBest Inc. until 2003, ATX Inc. since 2003, and OpLink Communications Inc. from 2000 to 2011. He has also contributed to the Board of Directors for the Eastfield Children's Center in Campbell, Calif., from 1984 to 1987 as well as the Architectural Committee for the City of Monte Sereno, Calif., from 1981 to 1993. From 1986 to 1987, Mr. LeBlanc served as the president of the Santa Clara Chapter of the Financial Executives International. In light of his exceptional undertakings, Mr. LeBlanc has accrued several accolades throughout his impressive career. In 1962, he was recognized as a Fellow of the College of the Holy Cross. Moreover, he was presented with a 35-Year Anniversary Award from the Silicon Valley Chapter of Financial Executives International in 2012. Mr. LeBlanc was selected for inclusion in many editions of Who's Who in Finance and Business, Who's Who in Finance and Industry, Who's Who in America, Who's Who in Science and Engineering, Who's Who in the East, Who's Who in the West and Who's Who in the World. Married to his wife, Janice May Dittrich, since 1965, Mr. LeBlanc attributes his success to his mentors: his colleague Ted Merkle of Certainteed Corporation, Oracle Corporation CFO Jeff Henley, Cadence Designs Systems CEO Joe Castillo, and his naval commander, Dr. Wheeler. The highlights of his decades-spanning career include taking a company public for the first time, as well as the opportunity to move his entire family to London for three years during his time at Memorex Corporation. Looking towards the future, Mr. LeBlanc hopes to continue enjoying his retirement while traveling, reading about history and spending time with his family. In recognition of outstanding contributions to his profession and the Marquis Who's Who community, Leonard J. LeBlanc has been featured on the Albert Nelson Marquis Lifetime Achievement website. Please visit www.ltachievers.com for more information about this honor.